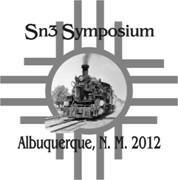 The 2012 Symposium will be on February 16th, 17th and 18th. There maybe additional tours separate from the convention facility, on days before and after the event. These will be announced as the event gets closer. All Participants working Vendor Tables must pay a registration fee. Day Passes will be available (at the door). The Vendor Registration form will be available soon, please check back or email us to ask for a copy.